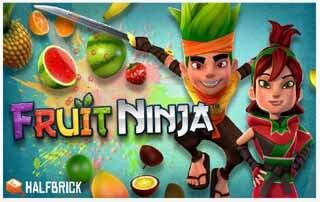 Free download Fruit Ninja Free for Android with APK file. 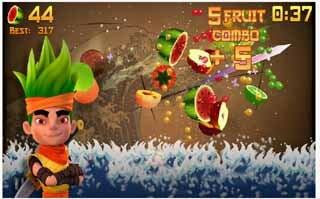 Download Fruit Ninja Free new version from the direct link. You can download APK file and option to download from Google Play store directly. This is a free game and can be easily installed on your Android device. Play Fruit Ninja like never before. We’ve rebuilt the legendary original slicing game from the ground up, adding fresh new gameplay and characters for new and existing fans alike. In the biggest addition to Fruit Ninja since launch, all Blades and Dojos now have a unique effect on gameplay. Want a ten-fruit Great Wave? Bouncing clouds to never drop a fruit? Swirling tornados for epic combos? Mix and match your gear, experiment with all the powers and find what works for you. Joining the action are new characters from the amazing world of Fruitasia. Katsuro and Mari will guide you during the game as you grow from a novice fruit bruiser to all-out slicing machine. Slice fruit, don’t slice bombs – that is all you need to know to get started with the addictive Fruit Ninja action. From there, explore the nuances of Classic, Zen and the fan favorite Arcade mode to expand your skills. Slice for a high score, use powerups and special bananas to maximum effect, and go crazy on the multi-slice Pomegranate.There has never been a better time to play Fruit Ninja, so unsheath your sword and see what’s new in the game that started it all. This is still just the beginning – we can’t wait for everyone to join us. This game contains optional in-app purchases. You can disable this feature in the settings menu of your device. Fine location required to receive Beintoo In Store Missions.